One of the things that makes BarnManager unique is our approach to product design and development. We are led by our users, not our assumptions. The following post is a deeper look at the way we worked with the User Experience experts at Fresh Tilled Soil to gain new perspective and build a better BarnManager. I hope that you like this behind the scenes look at our process. 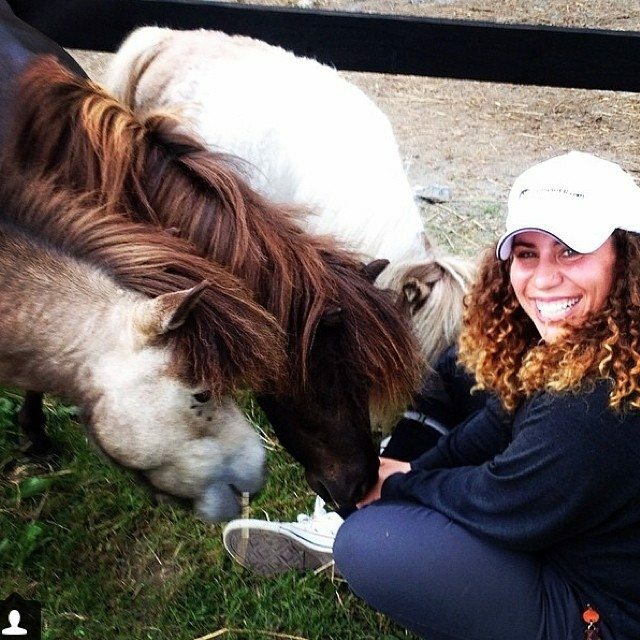 If you would like to provide feedback or be interviewed for current or future feature development, feel free to send me an e-mail at nicole@barnmanager.com. This post was originally published on Medium – Enjoy! 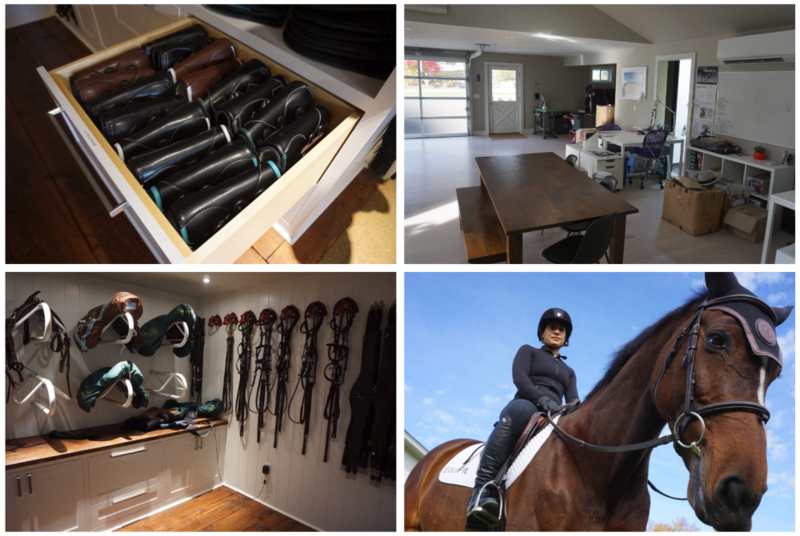 Managing a horse barn is a labor of love with many moving parts. 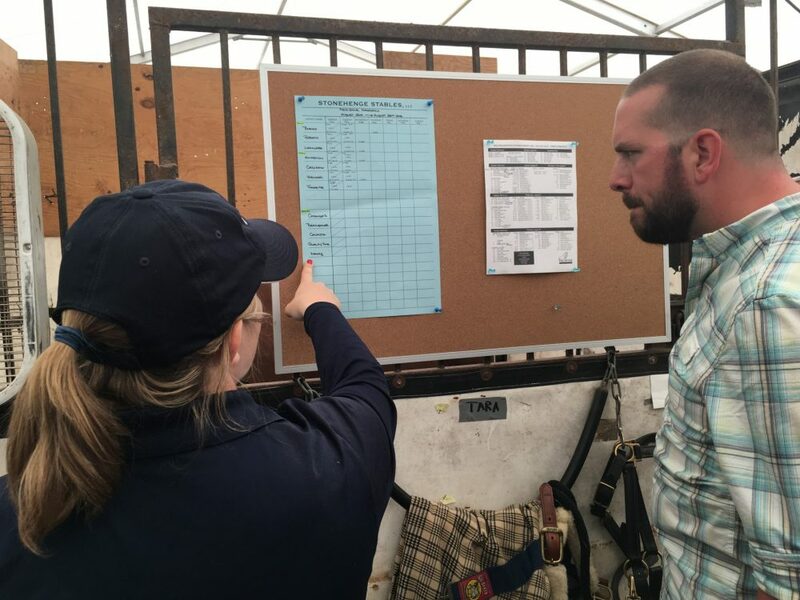 It requires an endless paper trail of health records for the horses under your care, white boards to communicate with barn staff, and calendars to keep track of appointments, training, and competitions. The majority of people involved in horse management are not happy with the traditional methods of keeping it all organized and need a new solution. 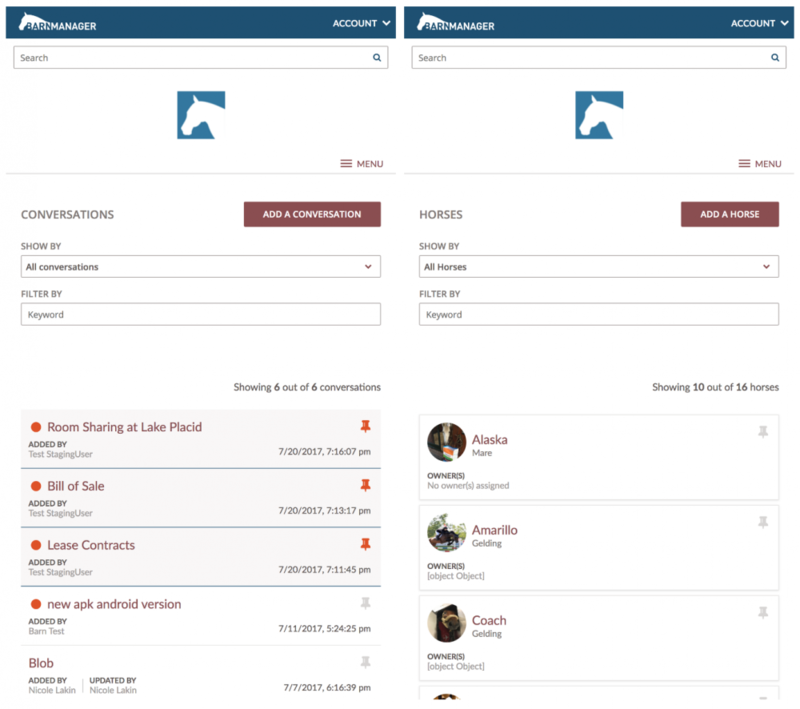 BarnManager is an application that was created by barn managers for barn managers to improve communication, sharing, and scheduling across the myriad of roles involved in the care of horses including horse owners, grooms, barn managers, trainers, riders, and veterinarians. 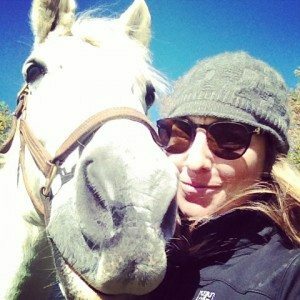 It’s a tool that supports traditional horsemanship and enables users to spend more time doing what they love — working with horses. For UX practitioners the real work hardly ever happens in the office. You need to interact directly with your client and your client’s customers in the environments where those people interact with the tools and products being designed for them. You have to see how they work and what they are doing every single day. You can’t make judgements from a desk or from behind a screen. This is particularly important when technology is not the center of your customers’ world — which is certainly the case in a horse barn. Keeping medical records in one place. 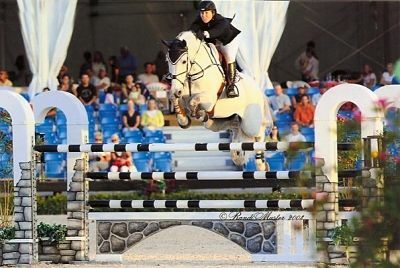 Often, a horse’s medical history isn’t kept on-hand or in an organized fashion, which presents a challenge for veterinarians who may be seeing a horse for the first time. And it’s not just about access but also appropriate access. 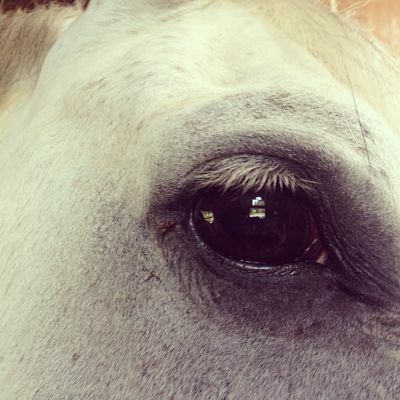 Not everyone can or should be able to see a horse’s complete medical history. Lack of communication. 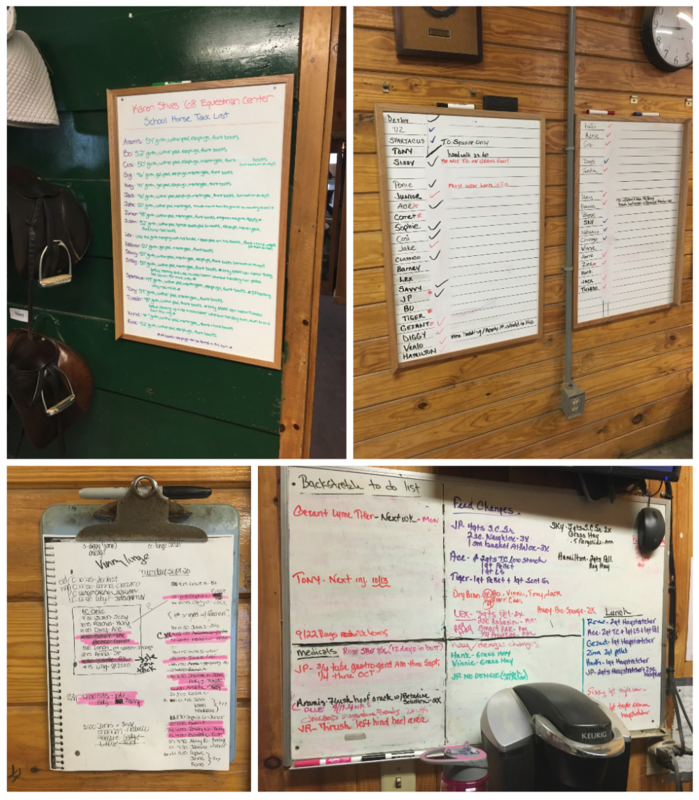 Keeping track of all information about a horse is very hard to do, and most barns have a variety of places where this information is kept. Everyone involved in keeping a horse healthy and competition-ready needs to be aware of and up-to-date on what has happened and when. Has the horse been fed today? Have they been exercised? How did they respond? And more. Most of this is accomplished today via handwritten notes and on whiteboards posted throughout the barn — very inefficient, not portable, and impossible to share. It’s all about the schedule. A horse’s calendar and schedule is ALWAYS changing. 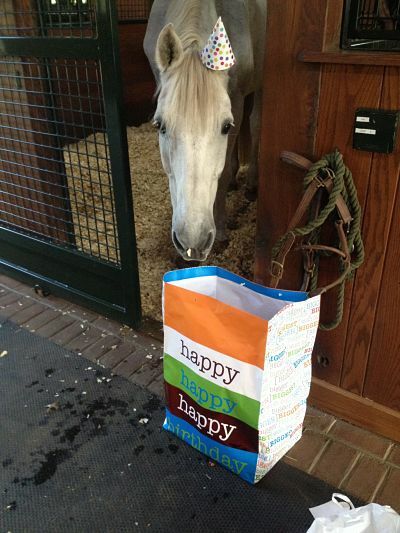 As are those of the barn staff, veterinarians, and others. 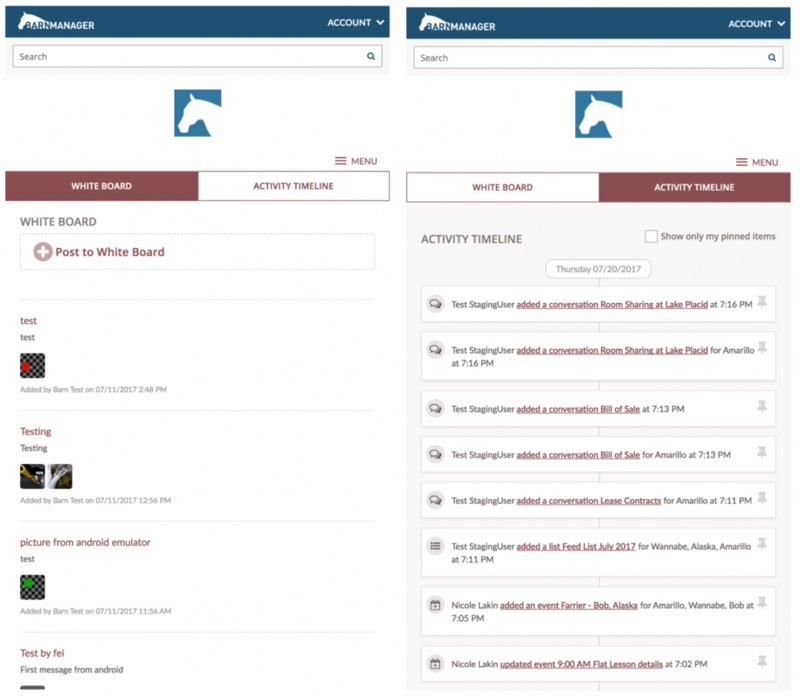 Barn managers need a centralized view to keep track of everything and avoid missing key dates. Mobile is a must. Most of BarnManager’s users are very mobile. 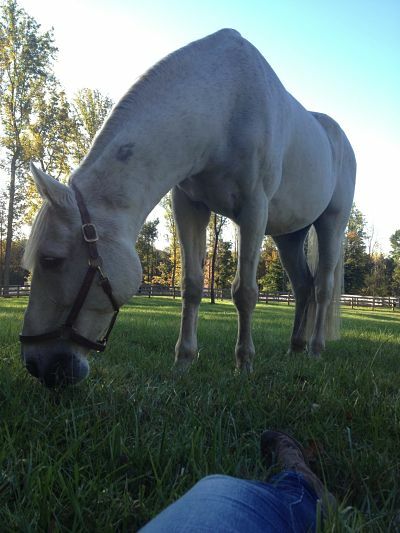 They spend more time in the barn, in the stables, and in the fields with the horses than they do in front of a screen. Our site visits were so engaging that we even put together a little video about our visit to Lovelight Farm. 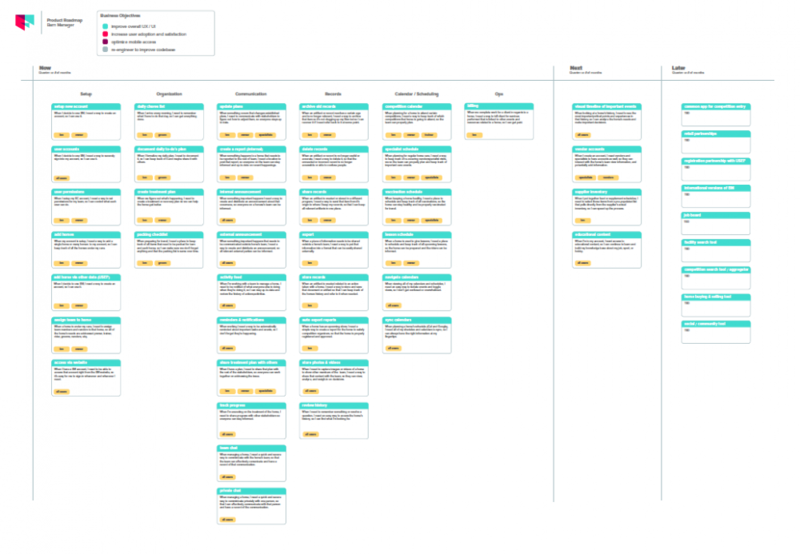 Experience mapping is one of the most effective ways to highlight user insights and improvement opportunities within any type of project. They are a crucial part of the strategy and design process and a foolproof way to illustrate all the different touch points that a user interacts with in any given experience. 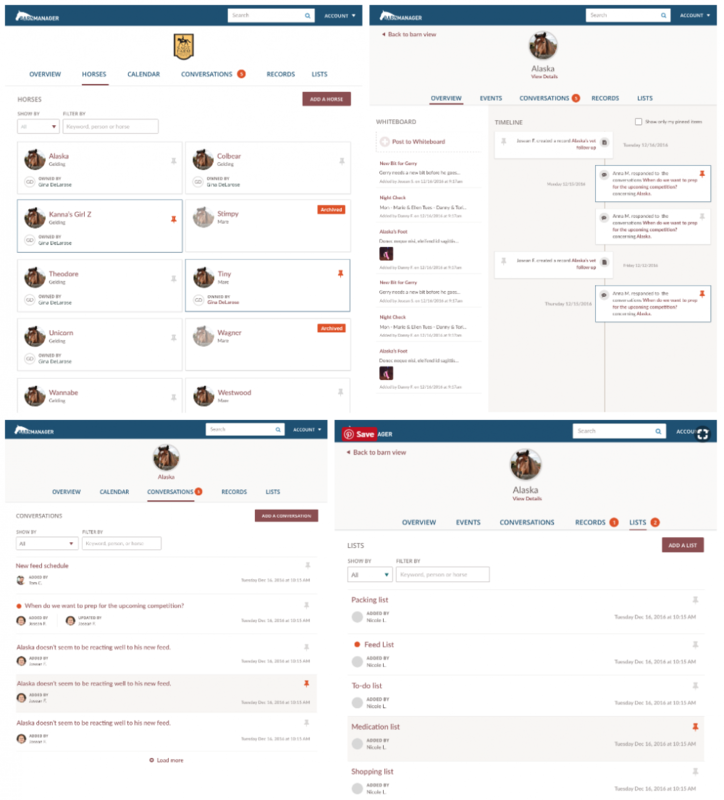 We worked with BarnManger to create a detailed User Experience Map for their users. BarnManager had a lot of great ideas for improvements to the application, and many more surfaced in our user interviews. But those ideas needed a process and ultimately an artifact to help them focus on the big picture and establish a path to fulfill their product vision. With user research and experience maps clearly defined, we were ready to take the team through a roadmapping process to help them focus, align, prioritize, and ultimately paint a picture of a brighter future for their customers. 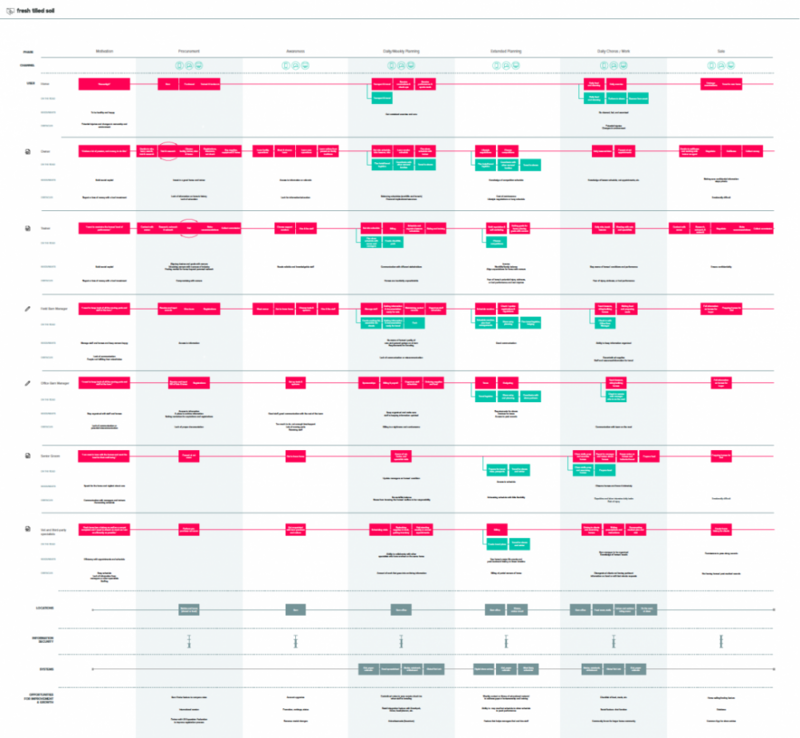 Getting your design right early pays off: what costs $1 to fix in the requirements stage costs $3–6 to fix in design, $10 to fix in coding, and $40+ to fix after release*. Rapid prototyping helps you answer important questions quickly and inexpensively. Fresh Tilled Soil developed mobile and web-based clickable prototypes for further user testing and concept validation. These prototypes allowed us to present a simple and focused feature set meant to address users’ pain points and the workflows identified in our interviews and observations. 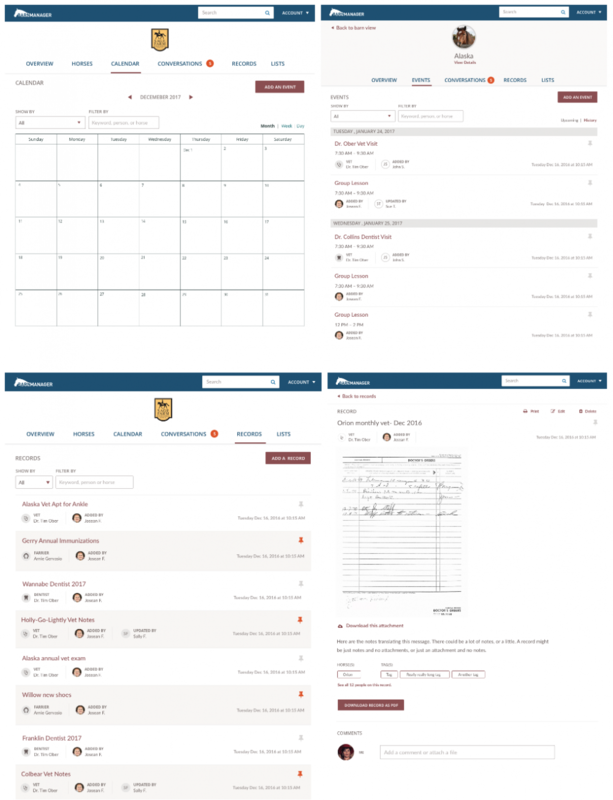 BarnManager’s initial product release didn’t include a dedicated mobile experience, yet their users spend most of their time away from a desk and screen. So designing a beautiful mobile experience was high on the list of goals for the project. We also delivered a fresh new design and user flow for the web application version of the product which included improvements to the application’s code base. Once the main project wrapped up, the BarnManager team realized the company’s website needed a refresh as well in order to better match the new experience and interface that was to come for the core product. We worked with Nicole to come up with a design that could be implemented within a very reasonable amount of time and budget. Everyone wanted to keep the focus on the product work and not spend too many resources on the website. So here’s what we came up with. 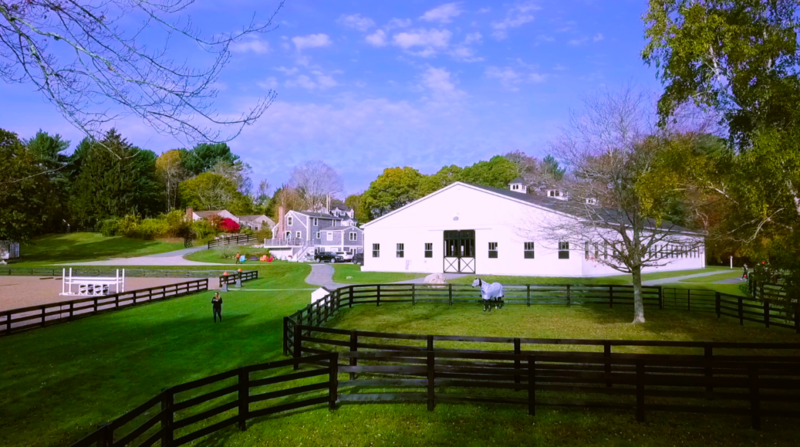 “Working with the team at Fresh Tilled Soil enabled us to bring fresh eyes to the challenges of barn management. The team really embraced getting to know the people that we were trying to serve and the challenges that they face on a daily basis and helped us to reframe them by bringing in new perspectives, backgrounds, and approaches. Working through their discovery and design processes helped us to achieve new levels of insight into what our customers were telling us. And what we have learned has been invaluable. *Graham, R.J., & Englund, R.L. (2004). Creating an Environment for Successful Projects, Second Edition. San Francisco, CA: John Wiley & Sons. First Dates, First Impressions, The Joy of the Horse. 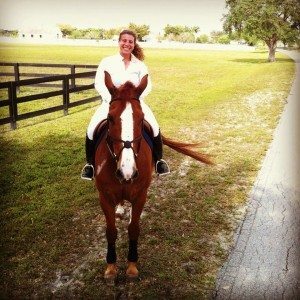 Jenny (the Director of Sales and Queen of Friendly at barnmanager.com) and I just returned from Denton, Texas where we visited with the AWESOME teams at Tom McCutcheon Reining Horses and McQuay Stables. We had an absolute blast, and have some exciting new features and programing coming your way! But more interestingly, Jenny and I had some very entertaining and somewhat enlightening conversation over dinner one night. 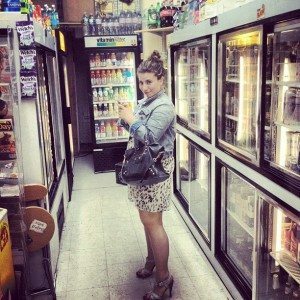 As part of Jenny’s job at barnmanager.com, she finds herself meeting lots of new and interesting people on a daily basis. She is also the type of person who can walk up to anyone and have them laughing in a matter of seconds. She has this charismatic halo that follows her and envelops everyone in her presence. She is truly a ray of sunshine, and I am not exaggerating. Jenny is constantly reminded about the significance of first impressions. First impressions are her life. And lucky for her, she tends to leave a good one. 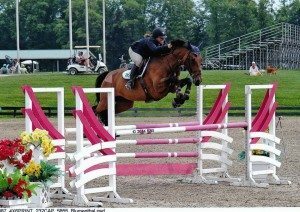 But in our lives as both humans and equestrians, we find ourselves constantly struggling with how we hope to impress ourselves upon the universe. Obviously, everyone wants to leave a “good” impression. But what does that mean? 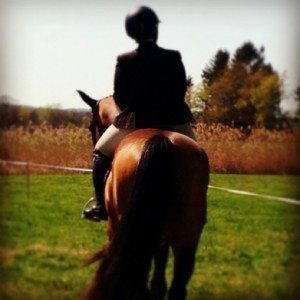 Our equestrian upbringing has made us who and what we are. We have learned that nothing worth getting comes without hard work, some ups and downs, and often sacrifice. While Jenny and I are wildly different people with wildly different personalities, we find that our work ethic and our overall attitude and approach towards “work” is the same. This comes in large part from the way we were raised….and by raised, of course i must lend some credit to our parents, but mostly I mean how horses raised us. Nothing given. Respect earned day after day. Things changing in an instant. Adapting could sometimes mean scrapping months of hard work and starting anew. And the rewards were epically more gratifying. If you came of age in a barn, you know what I mean. We take pride in everything that we do. In every accomplishment and in every failure we search for meaning and understanding. We are proud of who we have become and how we arrived at this place. And yet, as Jenny discussed with me over a glass of Malbec, what does it mean for the non-horsey when we reveal ourselves as “people who ride horses?” What do our roles as “horse-girls,” equestrians or even people who work in the Equine Industry lend to their first impressions of us? While on a first date with a Dealer of Rare Violins (I will never be able to understand how or where she meets these people), Jenny struggled with the choice of whether or not to tell her new acquaintance what exactly she does for a living. What will it mean to him? 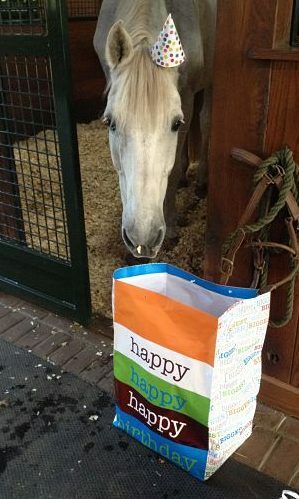 And how on earth can one explain that they sell Web-based software to horse farms? 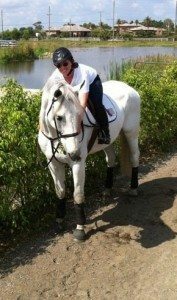 Jenny and I seem to have found a way to keep one foot firmly planted in the horse world while allowing the other to dangle to and fro, testing the waters and occasionally diving in thigh high. Is it more of a 3rd or 4th date kind of thing? (This is all assuming that we allow them the luxury). I assume that for anyone with anchors in two universes this question arises sooner or later. We are who we are, for better or worse. We aim to be our best selves, and to put that out into the world for others to see. And my best self is the person that horses made me to be. For Jenny, the answer became clear as she started describing her job, and ultimately her life to her new musical friend. She hesitated at first when he asked her what she does for a living. 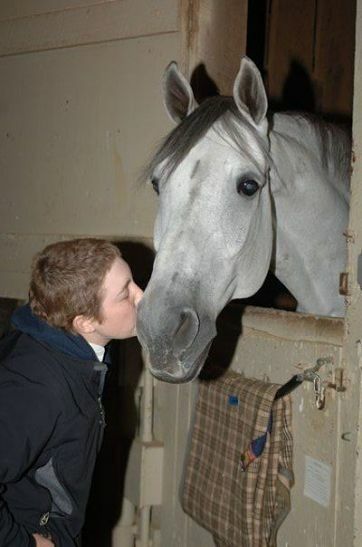 It is nearly impossible to qualify or quantify what we do to a non-horse person. 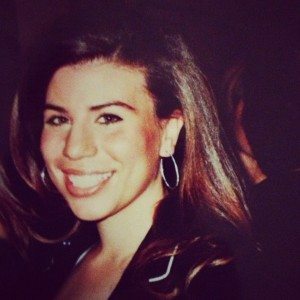 Jenny struggles with the fact that many of her childhood friends are pursuing careers as doctors, lawyers and real estate developers and seemingly having a larger impact on the world. What she does tends to feel small and immaterial in comparison. 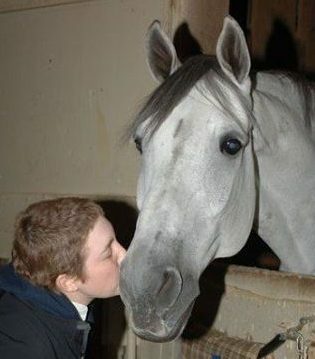 As she described to him what barnmanger.com is, how it came to be, and how she has helped to develop it from its weanling stages, his face grew harder and harder to read. So she kept talking and struggling to explain something that is always slightly inexplicable. When she stopped, the violin dealer reveled in her passion, which he said shone in her eyes as she spoke about horses and the role that they play in her life. He found himself floored by how much she loved what she was doing and jealous that he did not feel so strongly about his Violins. (I imagine they aren’t nearly as cuddly as a horse). 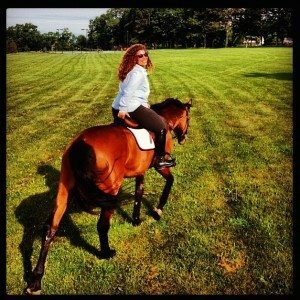 What Jenny discovered that night was that a passion for horses goes so far beyond a first impression. It reveals something much deeper. If the recipient of such information is paying close enough attention, they will feel that extra je ne sais quoi that makes Jenny who she is. They will see in the way her eyes light up that she knows some special secret that maybe one day she will share with them (if they are lucky). 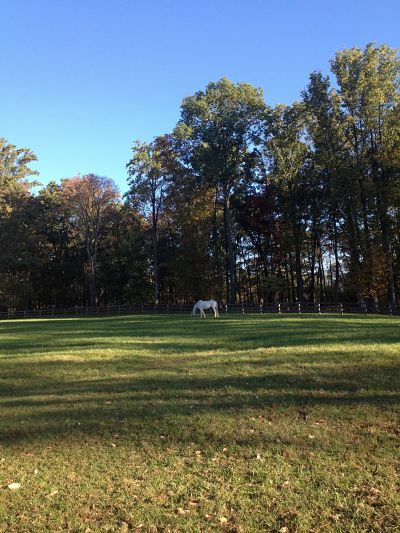 She may not be curing diseases or amassing a great fortune, but she is living a noble life by living with a joy that is contagious: the joy of the horse.